b) under the respective trade mark of the dealer. During the manufacturing process, cartons with the shelves are labeled at the packaging machine. 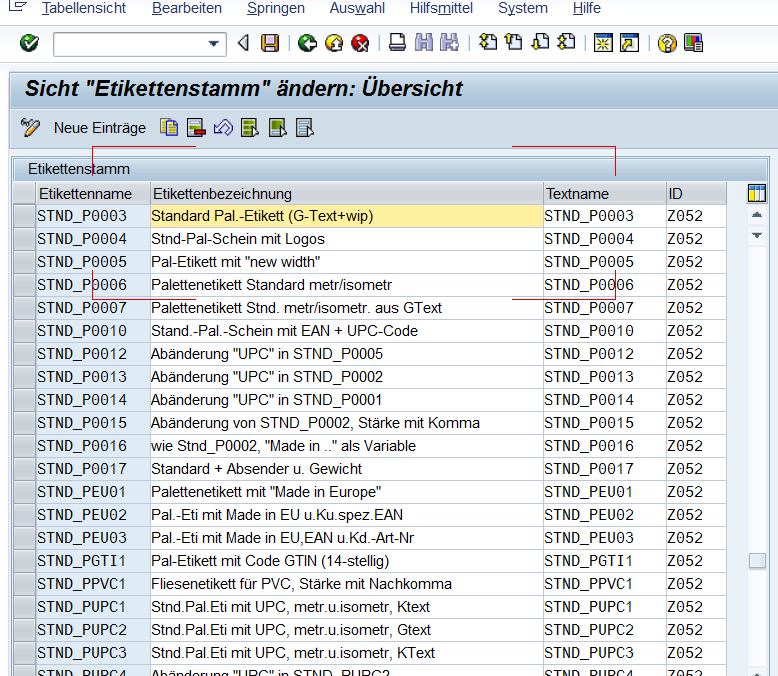 Since the labels can contain customer-specific data, e.g. a logo or the sales price, there is a great variability in the layout of the labels. The employee has placed the label as a file on the computer of the printing unit on the packaging machine. After a careful analysis of the variability of the labels, building blocks were formed, which were then combined according to a certain set of rules to generate the label layout. The finished label is sent as print file to the printer harddisk at the packaging machine when the production order is released. A name is assigned to each label, which has a precisely defined layout. The label is entered with its name in the table of the label master. 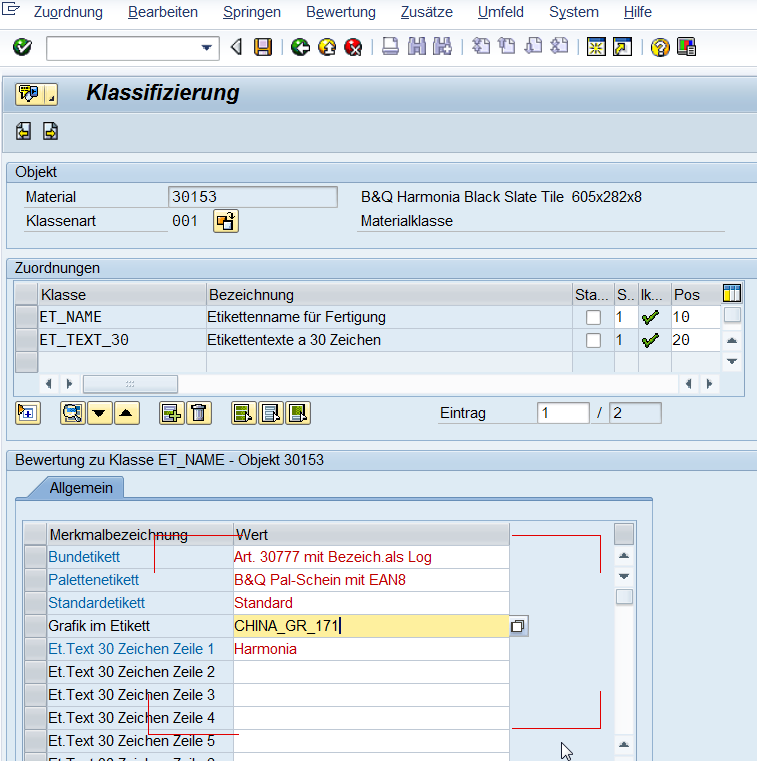 An Adobe form is created in SAP on this label and the form name is assigned to the label in the table of the label master. 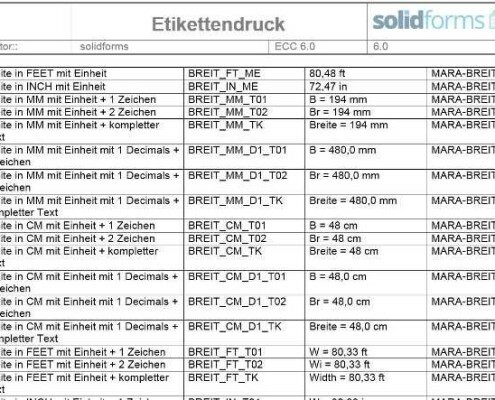 A functional module has been developed that reads all the maximum required data for the label printing for the production order and provides it in a flat structure. From this structure the interface to the form can be used and the data can be passed on to the Adobe form. 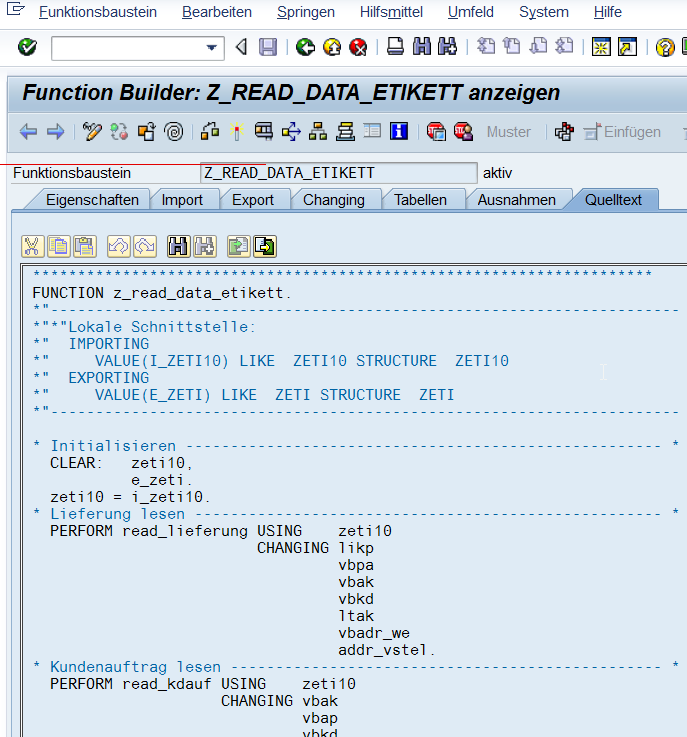 The data fields that the function module provides were precisely documented. 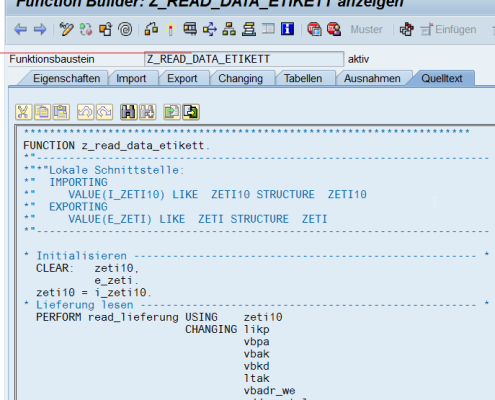 The form developer is not an ABAP programmer and can use the documentation to identify the fields for the label. 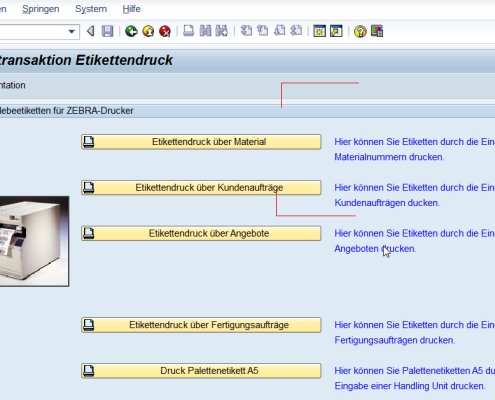 The labels can also be printed manually in a dialog program. 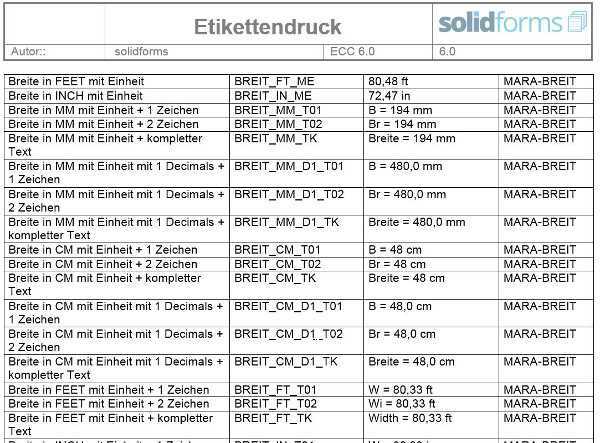 The desired number of labels is printed for the production order, customer order or material number. This function is usually used to reprint labels. 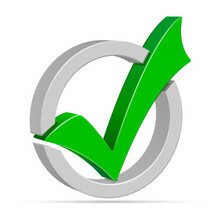 The ongoing label design is carried out by a quality management employee. 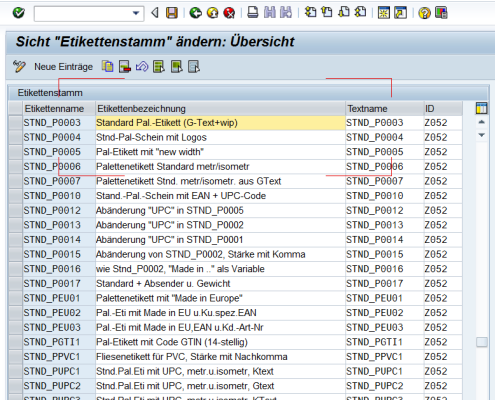 Label management has been documented in a comprehensive documentation, in which all variables are described in detail. Former, an employee was busy the whole day to create labels for the production orders. 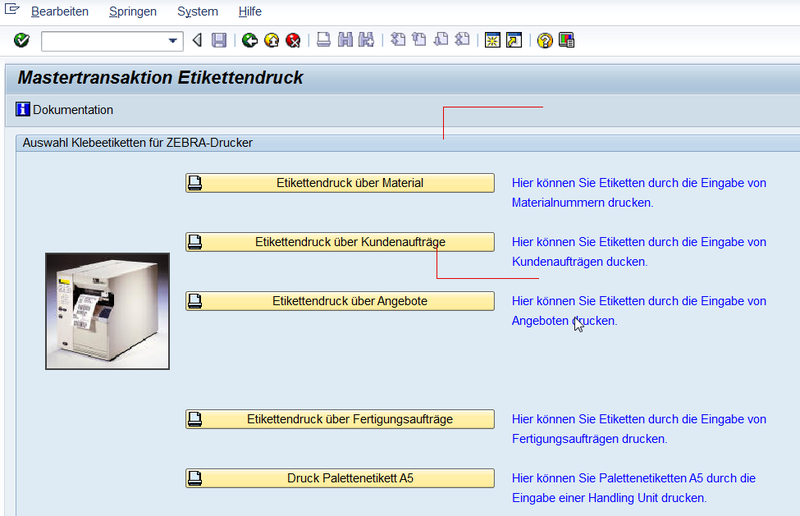 Now, the employee only needs to create a new label to implement a new label layout. The label data quality has improved. Complex re-labeling due to incorrect data on the label has been greatly reduced. 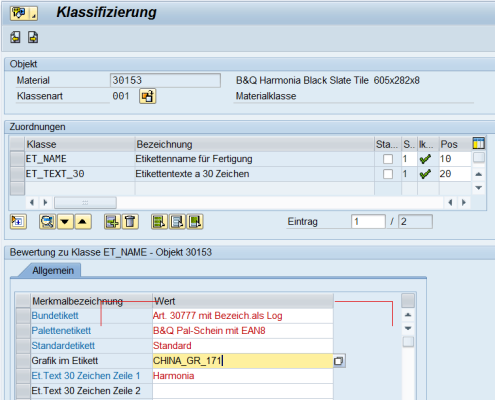 I’d like to learn more about customer-specific label management in SAP.